Tickets for the epic four-day celebration are finally on sale and we’ve got the inside scoop from Feast Co-Founder Mike Thelin. 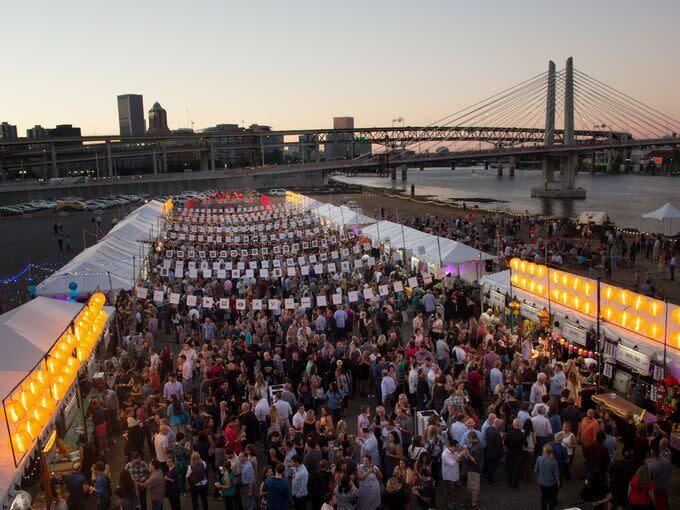 Feast Portland, that leviathan of a food festival that brings some of the country’s biggest culinary talent to Portland, is returning for its fourth year on September 17-20, 2015. As of today, tickets are on sale on the Feast website. Most of the 2015 lineup will look familiar: the Sandwich Invitational, Night Market, Oregon Bounty Grand Tasting, and Tillamook Brunch Village are all back in full force. The big newcomer (phasing out High Comfort) is Smoked!, “a sizzling celebration of animal, vegetable, fire, sea and forest.” Essentially, it’s a gathering of the greatest fire-tamers from around the country, cooking over open flame under the Fremont Bridge. 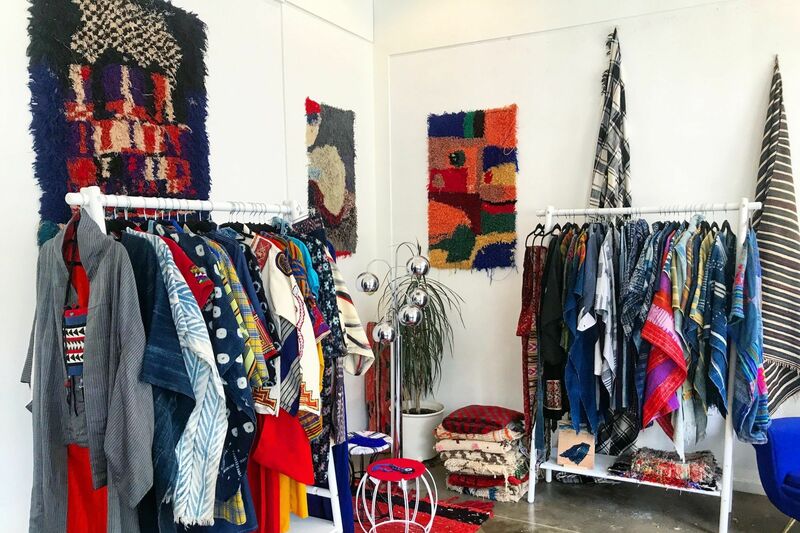 It’s shaping up to be the festival’s most coveted event. We caught up with Feast Co-Founder Mike Thelin for some essential intel on this year’s celebration. What’s all the kerfuffle about Smoked! this year? High Comfort was a great event for three years, but Feast is a festival that must evolve year after year. Smoked! is at The Fields Park where the Pearl meets the river: the best view of a bridge in a town of bridges. As for the food, this is the event where our protein partners like Nicky USA and Snake River Farms provide their most premium cuts, and where the best Northwest wineries showcase their top wines. You'll see Portland chefs like Andy Ricker, Jose Chesa, and Adam Sappington as well as guests like Tony Maws (Craigie on Maine; Cambridge), Gavin Kaysen (Spoon and Stable; Minneapolis), and Chris Cosentino (Cockscomb; San Francisco). So think of all of the flavors and genres these folks represent, and then apply that to live fire, outdoor cooking and layer in one of Portland's most iconic views. Name the five visiting chefs you are most psyched about. That's really hard; so I will only mention the first-timers. Chris Sheppard from Underbelly in Houston. His is among the most talked about restaurant in Texas, and we've never had a Houston chef even though we go big into Texas every year. Last year my meal at Lysverket in Bergen, Norway (what feels like the Portland of Scandinavia) blew my mind, so we invited Christopher Haatuft. Having Amanda Cohen of New York's Dirt Candy is a real treat—she is both a great chef and a real thought leader in food. Alex Stupak (of Manhattan’s dive bar-inspired taqueria Empellon) is coming and what an honor that is. I also am really thrilled to have Sam Mason here. Like Stupak, he is one of the most legendary pastry chefs alive. But also like Stupak, he does all sorts of interest things besides sweets. The Feast line-up this year is like the 1927 Yankees or the 1996 Bulls! You can only go to three dinners this year. Which are they? 1. Andrew Carmellini with Joshua McFadden is like LeBron and Jordan playing one-on-one in their prime (sorry for the sports analogies). 2. Paul Qui and Andy Ricker. Both of those guys do food that makes people happy to the core. I don't often get to sneak out to the dinners during Feast, but I want to stop by there and see if they'll throw me a scrap. 3. The Ken Forkish and Nancy Silverton dinner will also be pretty epic. Word on the street is that the Prosciutto di Parma folks will be there with a big Berkel slicer. For more details and the full schedule, visit www.feastportland.com. See you there!